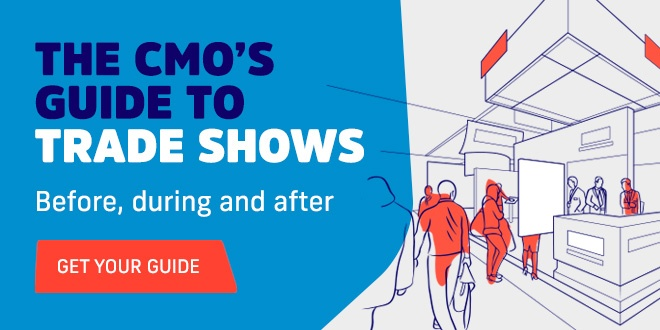 One thing we know a lot of Akkroo customers benefit from is being able to getting back to a new lead or contact super quickly after an event has finished. Or even right away using our triggered emails and SMS. I’m always really pleased to see this activity in action, and the really high open rates our customers achieve compared to regular email campaigns. It turns out being timely in your marketing is a huge advantage for getting eyeballs! When we get told by prospective customers that it currently takes them a couple of weeks to send out sales brochures or thank you emails after an event (if they send anything at all), we know we can expect a great reaction when they find out they can cut that wait down to a few minutes. Thankfully, most of our customers instantly understand the extra value of instantly triggered emails in some form or another — and we’ve recently rolled out a bunch of new features to make this experience even better (such as delayed email sending) — but today I want to concentrate on the most important tip for ensuring you stand the best chance in creating engaging follow up emails. The absolute number one thing that matters as to a successful email is to ensure that whatever your customer first see it’s going to captivate them in that very brief moment. Ultimately if you get this wrong your recipient is going to send your email straight to their Trash folder — it doesn’t matter how awesome your content is, how great your email designer was or that you delivered the email at the most optimal time — that was your one chance and it’s been blown before they even opened it. A poor subject line is an opportunity wasted… it’s still got to contend amongst all the other ones – so it’s far better to take a few extra moments and aim for setting a great event email subject line rather than settling for something mediocre, and improve the chances of them reading the content inside! Far too often people plump for the first or second idea that comes to mind. “Thanks for coming“, or “View our new product line“. These messages might sound fine, but consider this scenario; let’s assume you like mountain biking, and you sign up to the Halfords mailing list at an event (they are national chain of retailers who sell bikes here in the UK). You always get a handful of new, unread mail each morning – some from work, some from family, some from companies, and now, Halfords. Is there a 100% chance you will be clicking on this, right now? Imagine this is your follow up email sitting there. Really think about it. Is that event email subject line you picked going to be strong enough to persuade everyone to open it right away? Here are couple of tips. Let’s take our ‘Summer Promotions’ event email subject line, can we do any better to get that open rate up? What if we play up to things that we know will trigger a more positive, ideally emotional response in any human. Each of these do the same thing: raise your chances of an opened mail. Of course, milage will vary depending on audience and context, but when you only have a one off shot at an event, it makes sense to ensure you’ve considered including some emotional trigger in your email subject lines. In campaign email marketing, it’s good practice sweat the detail of email subject lines to reap these benefits, but sometimes I think it gets overlooked in other email correspondence like event emails. The techniques can work just as well and for those few extra moments of thought you can really help ensure your message gets through. The killer takeaway is that if no one opens the email in the first place, it doesn’t matter what the content is as no one will ever see it, so nail your subject line and give yourself the best possible chance of continued correspondence with your newest contacts and customers-to-be.